Reach helicopter by using a car. You must complete the challenge in as less days as possible. Smash zombies with your car and upgrade it after each level. Earn money for distance and combos and install everything you need to get to the helicopter. 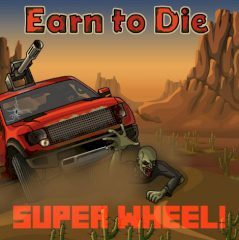 Games Similar Earn to Die Super Wheel!